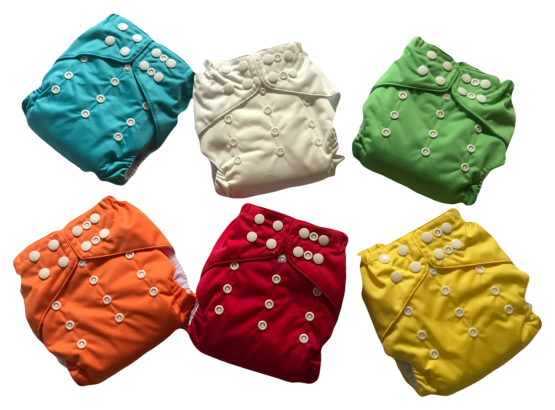 The same great Dinky pocket nappy you use by day is also ideal for night nappy use. Not only is our Dinky pocket nappy perfect for daytime use, but we also offer a dinky night nappy option, which offers you added absorbency to take your baby right through the night. Our dinky pocket nappy has a number of features that make it ideal for night time use. Our dinky night nappy option comes with a choice of one or two extra hemp night boosters, depending on how much absorbency you need. For younger babies, or those that don’t wet as much, then choose option one: With our usual bamboo and microfibre trifold along with one hemp night booster, which should be more than enough. 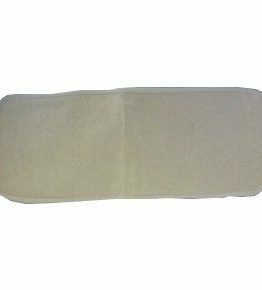 For babies who are older or heavier wetters, then choose option two: One of our usual bamboo and microfibre trifolds, with two hemp night boosters. With our large pocket opening, and deep leg gussets, you can confidently stuff our dinky pocket nappies, without worrying about cutting down on fit or performance. Our leg gussets ensure that the nappy will still fit well around thighs when stuffed with extra night boosting in the dinky night nappy. Still searching for the perfect night nappy? Then try our dinky night nappy option today. Let us know in the comments section if you would prefer velcro or snap fastening for your dinky night nappy, and which colour you would like.